When you stay at Wyndham Lake Buena Vista Disney Springs® Resort Area in Lake Buena Vista, you'll be in a shopping district, within a 5-minute drive of Disney Springs® and Disney's Typhoon Lagoon Water Park. This 4-star hotel is 1.5 mi (2.5 km) from Disney's Lake Buena Vista Golf Course and 2.8 mi (4.6 km) from Orlando Vineland Premium Outlets. Make yourself at home in one of the 232 air-conditioned rooms featuring refrigerators and flat-screen televisions. Your pillowtop bed comes with premium bedding. Complimentary wireless Internet access keeps you connected, and cable programming is available for your entertainment. Private bathrooms with shower/tub combinations feature designer toiletries and hair dryers. Dip into one of the 2 outdoor swimming pools or enjoy other recreational amenities including outdoor tennis courts and a fitness center. Additional features at this hotel include complimentary wireless Internet access, concierge services, and babysitting/childcare (surcharge). If you're planning a day at a nearby theme park, you can hop on the complimentary shuttle. Grab a bite at Room Service, one of the hotel's 2 restaurants, or stay in and take advantage of the 24-hour room service. Snacks are also available at the coffee shop/café. Relax with a refreshing drink from the poolside bar or one of the 2 bars/lounges. Buffet breakfasts are available daily from 7:30 AM to 10:30 AM for a fee. Featured amenities include a 24-hour business center, limo/town car service, and complimentary newspapers in the lobby. Planning an event in Lake Buena Vista? This hotel has facilities measuring 25000 square feet (2323 square meters), including conference space. Self parking (subject to charges) is available onsite. Continuous shuttles operate to the Walt Disney World Theme Parks. Guests enjoy free WiFi in the public areas. Laundry facilities, a 24-hour business center, and an arcade/game room are also on site. The resort provides luggage storage, tour and ticket assistance, and a complimentary shuttle to the shopping center. Spa services available. LakeView restaurant offers a breakfast buffet (surcharge) and an la carte dinner menu daily. The hotel's Disney Character breakfast buffet featuring Goofy and Pluto is hosted in the LakeView restaurant on Tuesday, Thursday, and Saturday mornings. Complimentary scheduled shuttles deliver guests to Walt Disney World Theme Parks and attractions, which include water taxis to Epcot and Disney's Hollywood Studios. 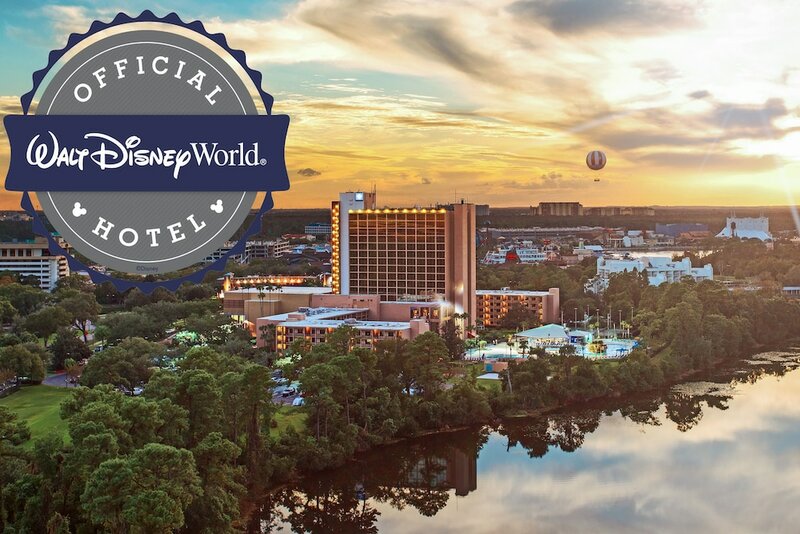 The resort also includes exclusive Walt Disney World Resort benefits such as Extra Magic Hours at select theme parks and FastPass+ access to reserve select experiences 60 days in advance. LakeView - With contemporary decor, this restaurant serves buffet breakfast and dinner and à la carte lunch daily. Disney Characters drop by during breakfast on Tuesdays, Thursdays, and Saturdays. A large patio houses a 15 x 30-foot splash pool, a small children's pool, and a spa tub. Other facilities include two lighted tennis courts, a basketball court, a sand volleyball court, and a video arcade (surcharge). A fitness room provides four treadmills, two elliptical machines, free weights, and strength-training equipment. Guests enjoy preferred tee times at the four golf courses in the Walt Disney World Resort, including the 18-hole Lake Buena Vista Golf Course, two miles from the hotel. Bike and watercraft rentals at Disney's BoardWalk Resort, horse riding and canoeing at Disney's Fort Wilderness Resort & Campground, and Fantasia Gardens Miniature Golf Course are all within six miles of the hotel. Guests of Wyndham Lake Buena Vista Disney Springs® Resort Area can enjoy Extra Magic Hours benefit during their stay now-December 31, 2019. The Extra Magic Hours benefit is available with valid Theme Park admission. Each day, 1 of Walt Disney World® Theme Parks is open longer so you can enjoy select attractions.